Talking about accessories, do you like earrings? 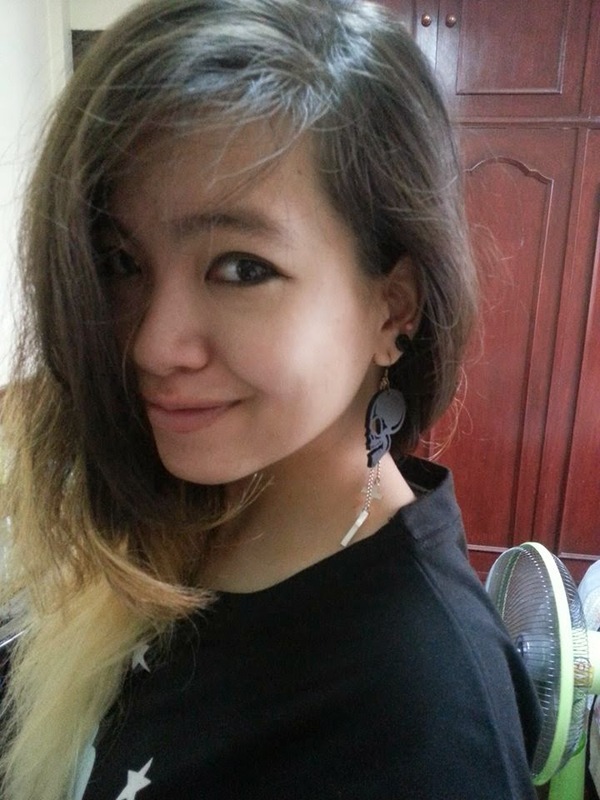 Yes, I do love earrings, but not that picky compared to clothes or any other items. 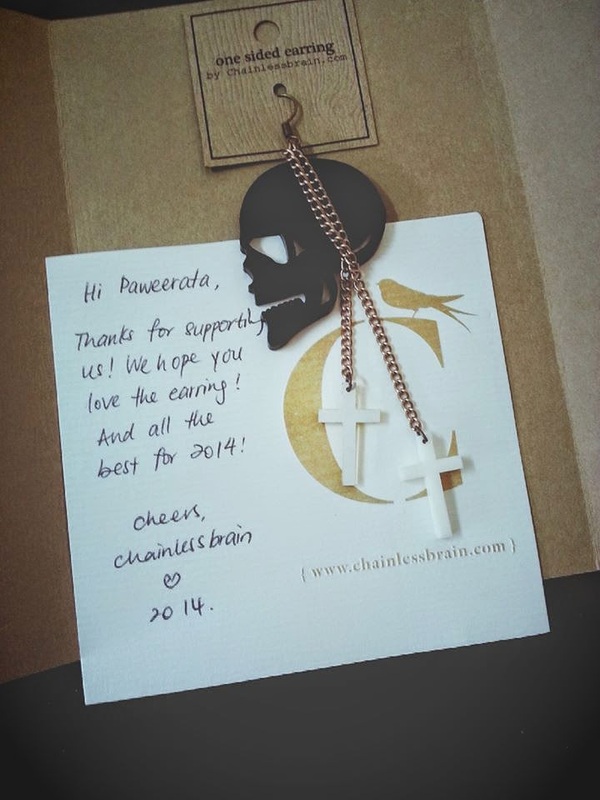 Last month, I received this "one sided earring" from Singapore based brand called "Chainlessbrain" in order to feature in The Equinox Fashion. And guess what, the quality and design are really worth to have. Thus, this look is all about my one sided earring, and you can see that I've done nothing with it. Just a simple top from Chicnova with no foundation, lipstick, nor anything but an eyeliner. However, this post is not going to be an outfit one because I want to disclose another side of me which I believe that you guys might be able to know this Thai fashion blogger from The Equinox Fashion even more. I have written maybe a few self-confession posts about myself so far, and some of you may know that I'm pretty chillax and down to earth person. Before I had assimilated myself in this industry, I thought about how this fabulous industry was. 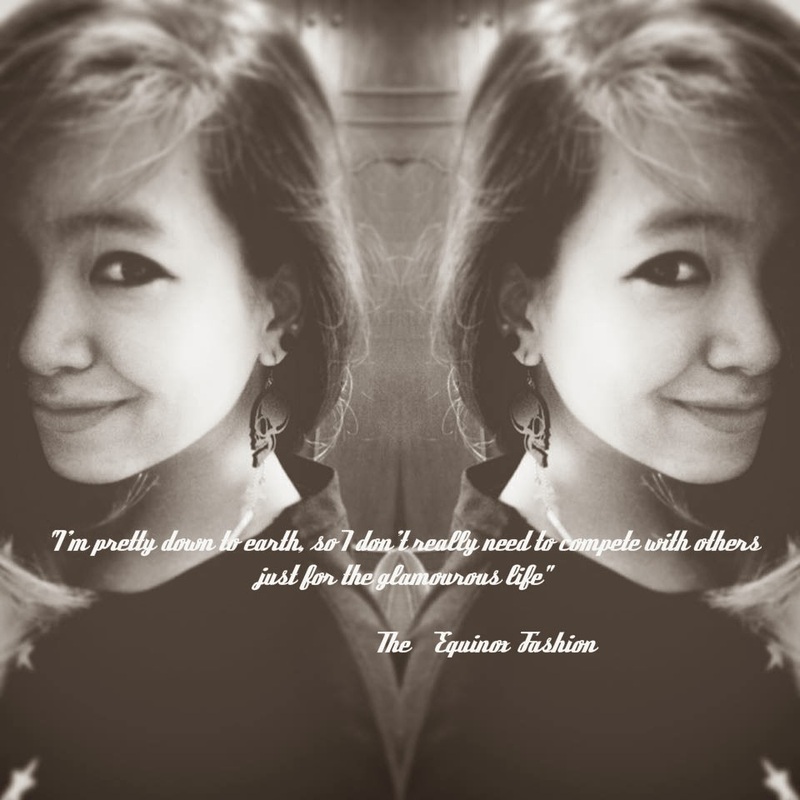 To attend glamourous events, to dress in a very pretty outfit and live in high-end society. That sounds like a dream, isn't it? But that's totally opposite from the reality to be honest. I've been here, working for my blog, meeting influential people and living the life like some people have always wanted. BUT I can say that the fashion industry is one of the greatest places to learn about the flaw in this society. Some people are super nice, while some can be insanely bitchy. Trust me, I've been to those situations before. For example; I was rejected to work in a big company in Bangkok, Thailand just because there's another applicant who got herself in only by her family's name. I was in a party which people were talking about new collections they wearing, as well as, drugs they taking. Or some people in a big fashion event treated me like an invisible person since I'm not a famous superstar. This world is crazy you know. However, I take these bad days as a big lesson to live in a peaceful mind yet be a great fighter. "Sometimes, you gotta fight for what you want by not being against the others" Like I told you in previous post that the only competitor is "myself"
It's like a culture shock for me at first, but now it seems so normal. If you don't take those bad experiences seriously, I'm pretty sure you're gonna love this industry. You are down to earth with a great sense of style cool earrings and you look beautiful. Love your eye makeup, too! I love earrings so I like this one! Totally dig the asymmetry too! ;) Very cool! wonderful earrings! love them so much! Perfect for a festival look or something like that! 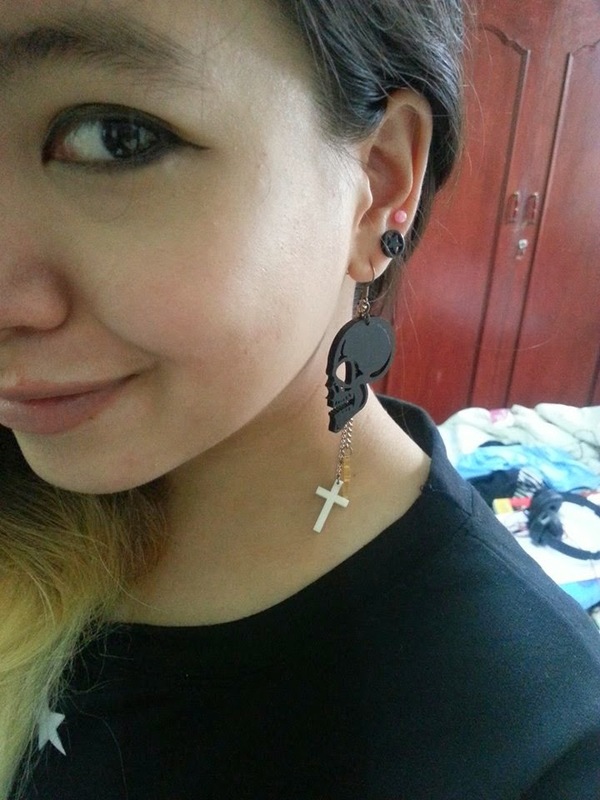 wow these earrings are really awesome <3 i wish i could wear earrings too! Nice post, don't change a bit I like the way you handle things. You are awesome as you are. Life is what they call it, been rejected is not a curse, it just prepares you for bigger places or opportunities in life. Like my dad use to say,Every disappointment in life is always a blessing. So take it!You are not missing at all.... I love your earrings,it's super super cool. Need to shop one soon. How fierce! Love this idea of a one sided earring! Beautiful earring!! I love it! 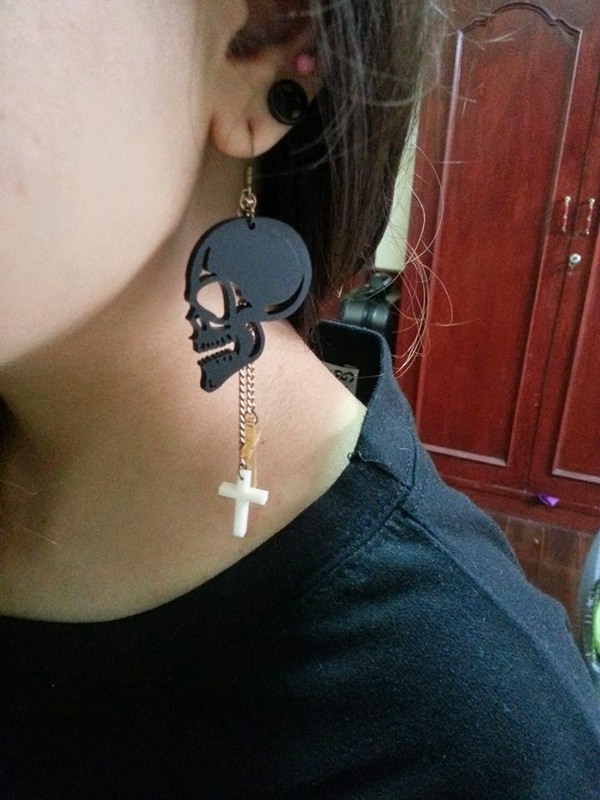 This earring is so cool and edgy, looks terrific. Thanks for sharing your thoughts with me...Have a great Friday! I am loving the one-sided earring - it's such a simple way to add edge to a look. Gorgeous on you doll!! 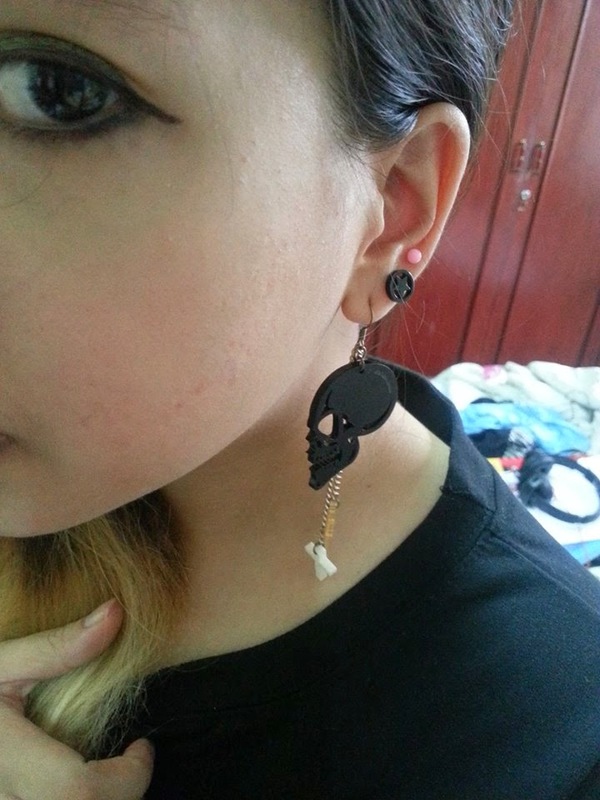 I don't really like to wear skulls, but I do love the idea of this earring and it looks like it's beautifully made. The earring is SO cool ! I think it's sad that some fashion bloggers are so snob that they think they don't have to respond to anybody, that they are too good for that.. it's stupid! I think it looks great on you! It matches your style perfectly too! Beautiful! Those are some really cool earrings! Merci beaucoup, oui c'est vraiment une superbe couleur pour cet été. The earring looks fabulous! Fortunately I havn't seen that side of the fashion world and I don't intend to, though I am very wary of people high up the popularity lader.